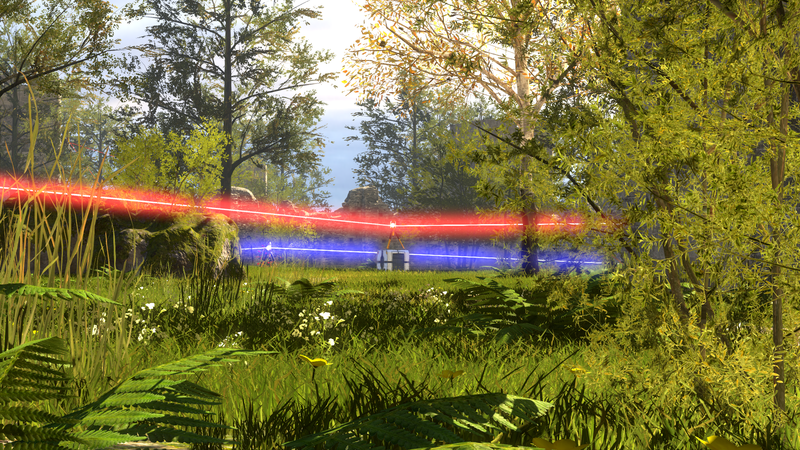 The Talos Principle won't hold your hand, but it won't crush it either - it will work your brain, though. 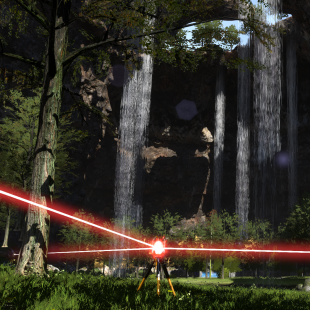 Croteam, the developer for Serious Sam, showed off The Talos Principle at E3, offering a peak at the philosophical game to come. The game feels like a mix of Portal and The Witness, so expect a lot of puzzles. Puzzle games can be irritating when they are presented in a linear fashion and you cannot find the answer. Finding the solution to a puzzle in Portal brings a sense of momentary accomplishment, but if you're stuck, you're barred from progressing forward. 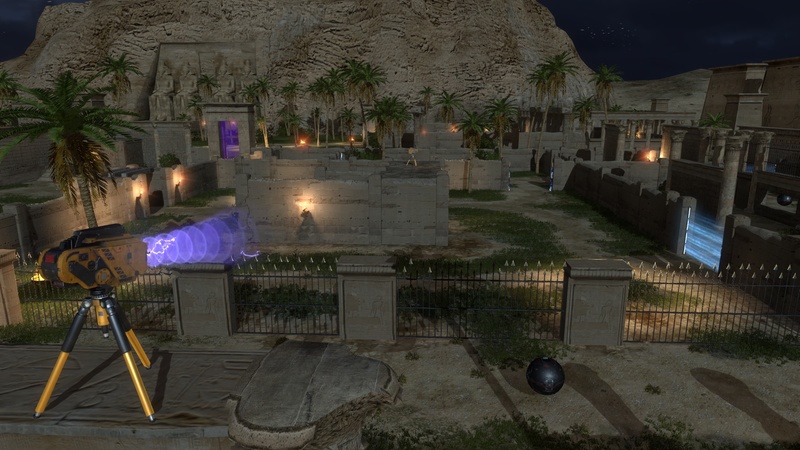 Similar to Jonathan Blow's The Witness, as well as classic game Myst, The Talos Principle has a world to explore in a nonlinear fashion. 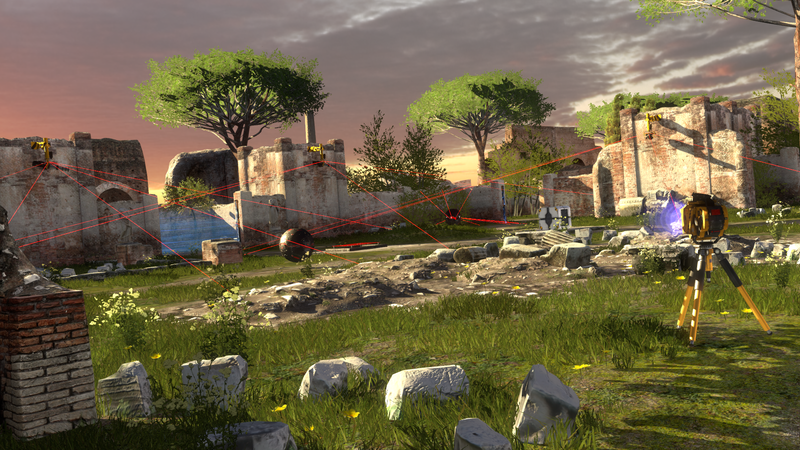 Details on the specific themes of The Talos Principle are fuzzy right now, but it will deal with philosophy. Croteam stated it specifically deals with issues of transhumanity. After trying out a demo, I'm not exactly sure what the game will examine in detail, but I have a feeling the game will question you, the player, as well as the meaning of intelligence and what that entails for the future. For the demo specifically, interacting with a terminal allowed me to talk to someone - or something - and I tried to probe it for more details of the game, just on a need-to-know basis, and for it to let only me know about it. After an amusing back-and-forth, my conversation with whatever I was interacting with ceased, answering questions with silence. Before reaching that point, I solved three puzzles of escalating difficulty. For the full game, players can take puzzles in an order of their choosing, free to explore the world at any time. However, parts of the world are locked until you find the corresponding sigil. Each sigil can be discovered through different puzzles, so if you get stuck in one puzzle, you can move on to a different one without fear of being stuck in the story with no way to advance. 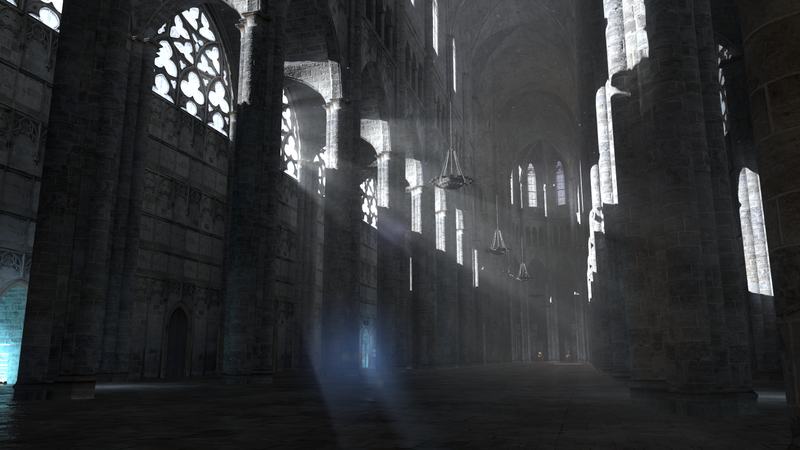 Each area containing a sigil requires the player to find the correct path to the sigil. For some puzzles, this means jamming turrets, opening barriers, interacting with a box, or connecting beams to open doors. Solving one puzzle gives the player knowledge on how to interact with future puzzles using similar mechanics. Some solutions are obvious. Others could be better suited for players who like to take in the whole environment first before playing around with connectors and jammers. This is a game that will challenge players to sit down and think. 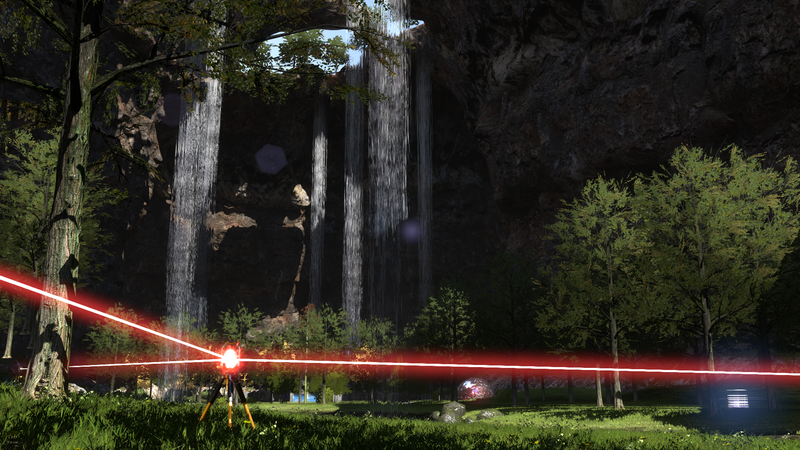 Devolver Digital will publish The Talos Principle. 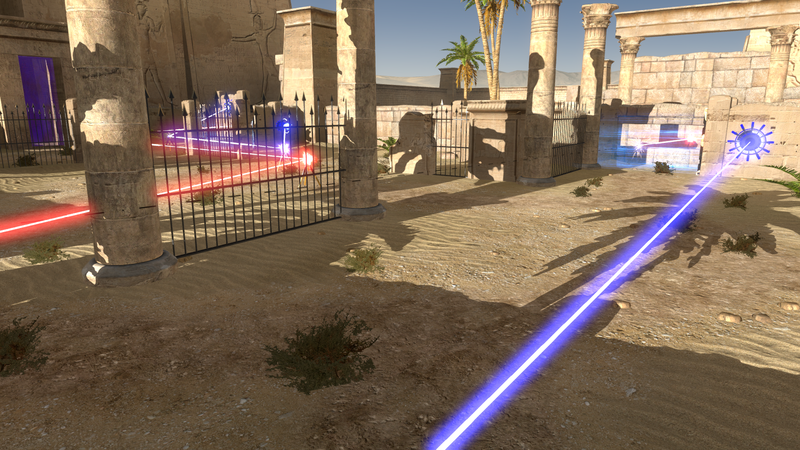 Croteam is aiming for a third quarter release this year on PS4, PC, Steam OS, Mac, and Linux. Mobile and other console platforms could see a day 1 release as well.